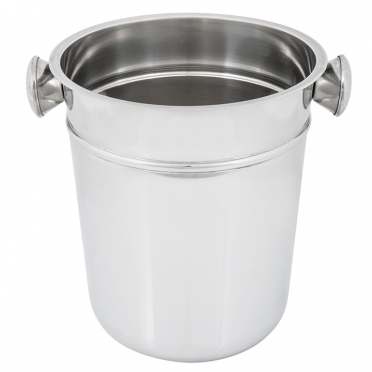 Dimensions 11" H x 9" Top diam. 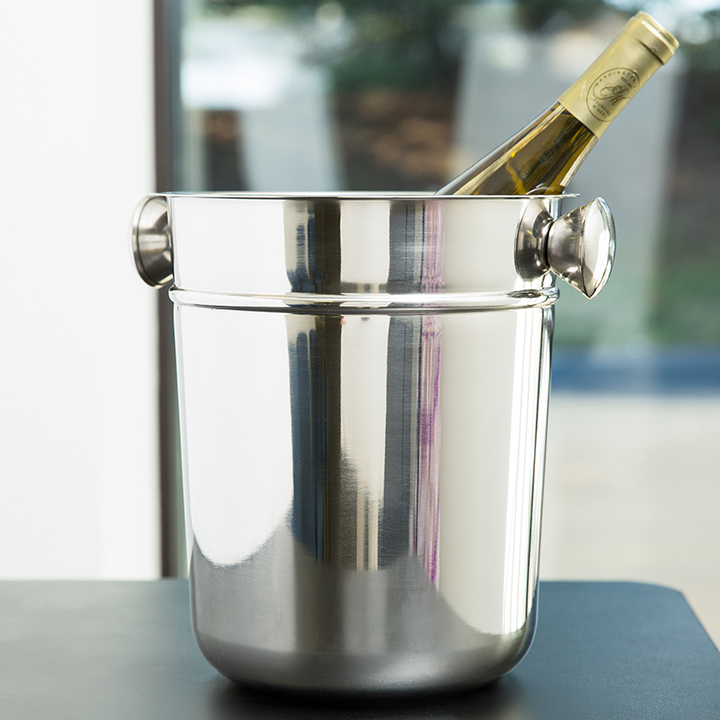 Perfect for any party, our "Chrome Ice Bucket" can be used to chill all your beverages. Since it retains the temperature well, it will not be necessary to keep refilling the unit with ice. 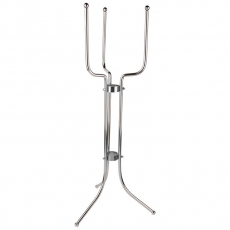 The stainless steel construction is sturdy and looks classy, so it will not detract from your venue's decor. The knobs on the sides fit nicely with the styling, and they help move the unit from place to place. Whether you are placing wine bottles at your tables or are simply chilling champagne for an intimate dinner, choose one or multiple buckets so that your gathering is a success.